It’s “San Antonio,” of course, but I keep thinking of Bob Wills and the Texas Playboys, singin’ about “Old San Antone” when it was a sleepy, blistering-hot place far down at the end of the trail. It’s hotter than ever there now, as you know if you’ve heard about the record heat wave and drought that have broiled Texas to an even cracklier crisp this summer. 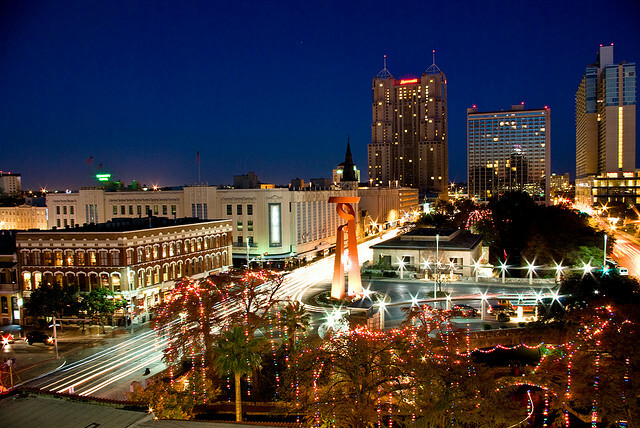 You could win a lot of bets with this nugget: Not only is San Antonio Texas’s second city, behind Houston, it is also the seventh-largest city in America, with a population of 1.4 million people. That’s fact, not Texas brag. It doesn’t seem that big when you’re there. Maybe they’re counting the thousands of young men and women just passing through at the city’s four huge military facilities — and there used to be something like seven — or included some longhorn cattle busting through the brush outside of town. Big or not, podner, San Antone’s a mighty interesting place. It bakes in south-central Texas, straight west from sprawling Houston, down the trail a piece from the state capital at Austin, and lassoing distance — sorry — from Hill Country. More about that magical place in a bit. San Antonio is named for a saint, Anthony of Padua, Italy, but only because his feast day happened to fall on June 13th. By chance, that was the calendar day when a Spanish expedition camped in the area in 1691. If the explorers had shown up a bit later, the place might be San Ignacio. July 31st is St. Ignatius’s feast day. 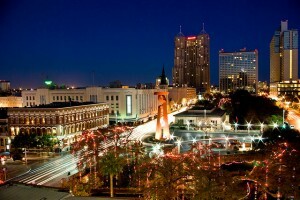 San Antonio grew into a provincial capital of New Spain and, in the early 19th century, of independent Mexico. Today, nearly 60 percent of its population is Hispanic. The Spaniards called the province Tejas — Friendship — and Texans still give you handshakes to remember. The state is world-famous for cowboys, open rangeland, oil wells, big-time football, and boot-scootin’ music. 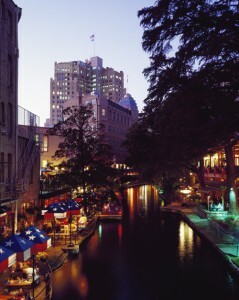 But its two biggest tourist attractions are urban, right in downtown San Antonio. One is the Alamo, a tiny stone mission where, in 1836, almost 200 defenders died fighting for Texas’s independence from Mexico. About a block away is the Paseo del Rio, or River Walk, a subterranean fairyland along the San Antonio River. Now mind you, that river through town is a most ordinary stream. 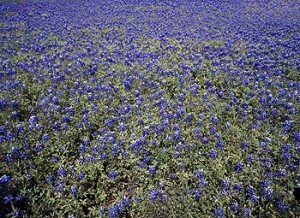 It begins in the aquifers of the Texas Hill Country and meanders southward to the Gulf of Mexico. In some spots, you can step across it. 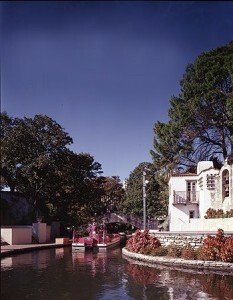 But beneath the streets of San Antonio, the river is transformed into a Venice of the American West. Boats filled with tourists glide around a hairpin bend, past cobblestone walkways and beneath arched stone bridges. Under colorful umbrellas set out by hotels, restaurants, and bars, visitors sip Texas and Mexican beer and stiffer drinks, including margaritas made from the fermented juice of the prickly pear cactus. Up above, at street level, it’s often broiling hot and oppressively humid. But down along the River Walk, it’s cooler, calmer, and far more romantic. What, you don’t think strolling mariachi bands, scented flowers, and passing gondolas are romantic? During fiesta each spring, waterborne floats parade past thousands of spectators. And come Christmas season, more than 120,000 tiny lights twinkle in the hibiscus bushes and willow trees. Candles, glowing in paper bags weighted with sand, line the river. Romantic, I tell you. The inspiration for the River Walk was a tragic flood. 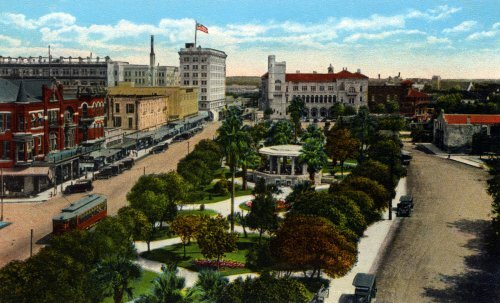 In 1921, the normally placid San Antonio River raged out of its banks, right downtown. More than 50 people died. Outraged citizens demanded flood controls, but no one wanted to destroy the park-like setting along the horseshoe bend of the river. The solution came from Robert Hugman, a young architect who had played beside the river as a boy. Hugman proposed creating Old World charm and character of the sort he saw in New Orleans’s French Quarter. His elaborate plan called for street lamps, strains of Mexican music, and a row of shops along cobblestone paths. Street level would be raised, and dams and diversion channels would be built to control flooding. Click ahead 80 years, and that’s what you see in San Antone in a revitalized neighborhood that for a time, about 50 years ago, had become a slum — a dangerous and nearly deserted place. But the city cleaned up the River Walk, new hotels rose alongside it, downtown came to life, and San Antonio had itself a world-class tourist attraction. It’s the state’s No. 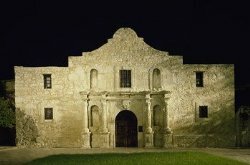 1 tourist draw, and the Alamo is No. 2. Spicy “Tex-Mex” cuisine — a rugged mingling of Mexican dishes such as enchiladas with hearty Texas-style beef barbecue — this is cow, not hog, country. 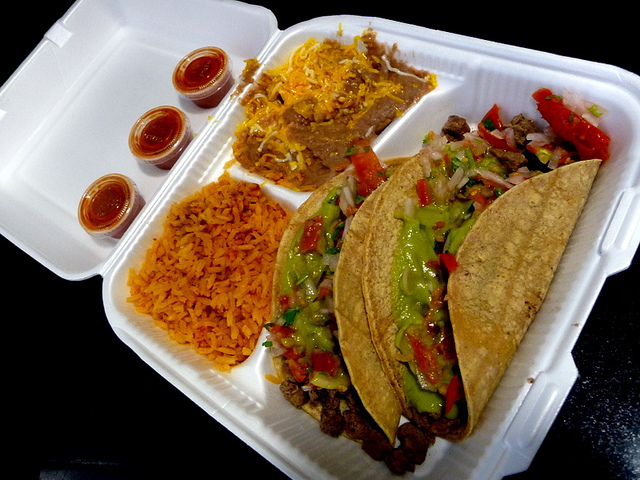 The meat is broiled over an open flame, smothered in cheese and red sauce, dotted with hot chilies, and piled on a plate that’s already groaning from the weight of rice, a hunk of toasted bread, and pinto beans “refried” in lard. Even before you’ve loosened your belt and dug into all this, you’ve emptied a big bowl or two of salsa — a tangy mélange of diced onions, tomatoes, and peppers — into which you’ve dipped a fistful or two of crunchy tortilla chips, one at a time. Unsurprisingly, San Antonians love their beer with these gourmand’s feasts. Consider how hot it is, both outside the restaurant and in their stomachs. Germans and Czechs, of whom there were many among the area’s immigrant population, inspired the popular habit of serving lots of good beer with zesty Tex-Mex food while the band plays not just Mexican music but even a polka or two, oompah-style. 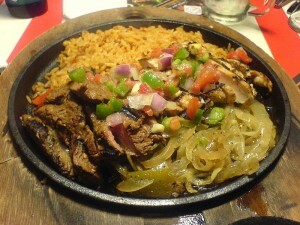 Tex-Deutsch as well as Tex-Mex. Too rich, if you ask the local health department. San Antonio is perennially among Men’s Health magazine’s list of “fattest” U.S. cities, often ranking No. 1. Last year, it placed seventh — joining four other Texas cities in the Top 10! The situation is serious enough that the Metropolitan Health District has long waged a campaign called “Don’t Super-size San Antonio.” In a survey that it conducted a few years ago — you’re not going to believe this — 66.4 percent of adults within the San Antonio metropolitan area were overweight or obese. Two-thirds of the adult population. • The heavy food and lots-of-beer thing is not just for tourists. In typical households, the matron and chief cook takes pride in her tamale and tortilla recipes, in which a lot of ingredients are fried in artery-clogging lard. 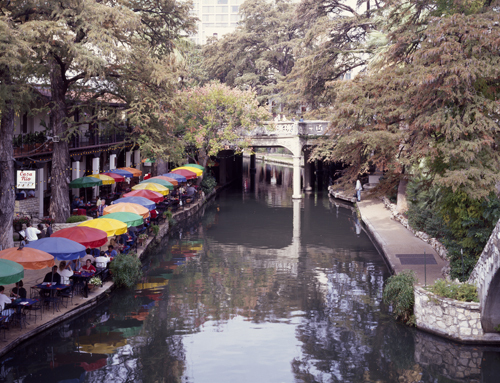 • The River Walk may be beautiful — festooned with flowers and colorful hanging sombreros — but it’s for lounging and strolling, not a brisk workout. And because of the often-present heat as well as the encroachment of developments and the city’s ribbon of highways, there are few parks and jogging trails available to anyone who decides it’s finally time to get fit. So San Antonio is a dangerous place. Not from crime so much, but from what people are doing to themselves. Which may explain why a lot of folks get out of town every chance they get and head an hour or so north to Hill Country. They don’t find any natural wonders there. No awe-inspiring canyons, no incredible waterfalls, no snow-covered peaks or rain forests or raging mountain streams. The appeal of this tapestry of cedar and oak trees, profuse wildflowers, and modest limestone cliffs is more subtle. These hills produced the 36th president of the United States, Lyndon Johnson. He and his wife Lady Bird spent much of their lives on the LBJ Ranch along the Pedernales River, which the locals pronounce “PER-di-nal-is” despite its spelling. “There’s something different about this country from any other part of the nation,” LBJ once said. 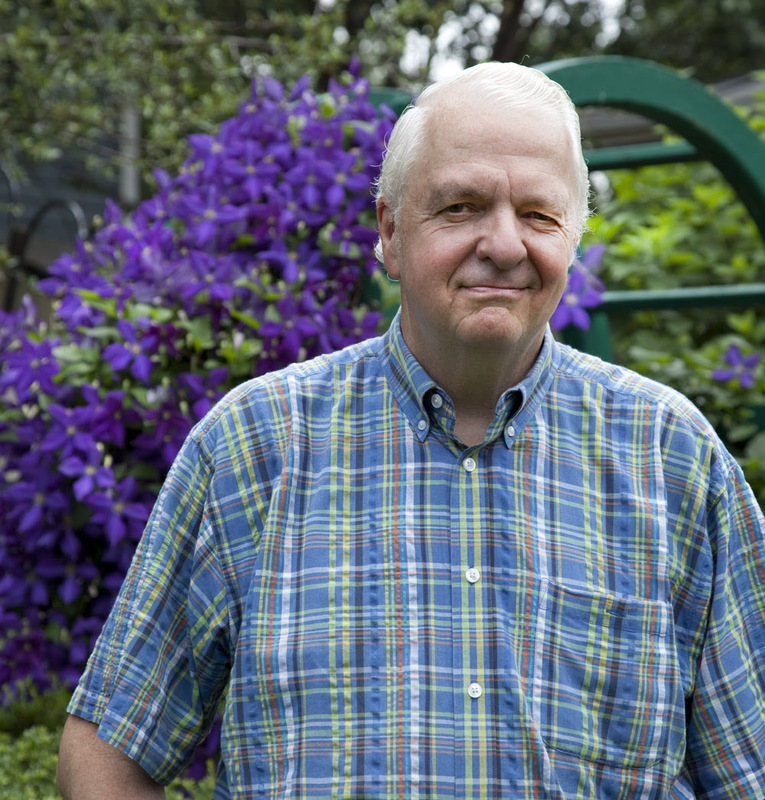 My good friend, VOA alumnus and native Texan Bob Blachly, keeps pointing me and Carol toward Hill Country in the springtime, when what Texans call the “Big Spectacle” breaks forth. Never mind that spectacles are already big. Things are bigger than big in Texas. 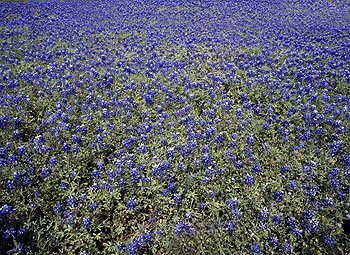 The hillsides come ablaze in wildflowers — Indian paintbrushes, prickly poppies, flowering herbs, and the most compelling blossom of all: the delicate little, violet-sized bluebonnet, the Texas state flower. 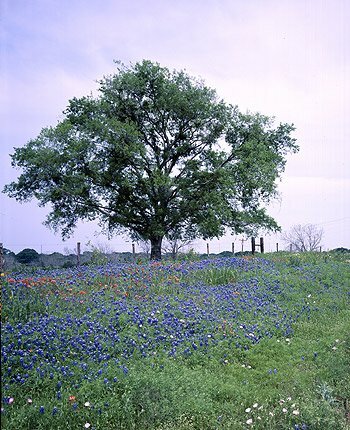 It seems like every Texan of more than a year’s duration carries a picture of himself or herself, the kids, and the dog in a bluebonnet field. Winter is over. Spring is here. You’re out in nature with the bluebonnets and the coyotes and the deer once again. OK, and the rattlesnakes. In the heart of Hill Country, a limestone dome called “Enchanted Rock” rises 135 meters [443 feet] above the countryside. Its outcroppings once echoed with the sounds of Indian ponies, and later of German farmers clearing the land below. Those who live nearby today will tell you that it’s not just this spot, but the whole countryside, that is enchanted. And so, heading back to San Antonio after that interlude of reverie, is the very first place you could call a “neighborhood” in all of Texas. It’s the King William District, a 25-block area on the banks of the San Antonio River that was once farmland used by the missionaries up at the Alamo and then settled by German merchants. “William” was Kaiser Wilhelm I, King of Prussia in the 1870s. The merchants’ fine homes have been passed down and fixed up, and the neighborhood has become fashionable once again. But not pompous like so many historic places. King William reminds me of the Lower French Quarter in New Orleans — full of eclectic statements. A little “periwinkle purple” house belonging to acclaimed fiction writer Sandra Cisneros, for instance. Much of San Antonio is brash and vibrant and somewhat loud. King William is subdued. Among the bluebonnets and periwinkle-purple houses, plates of steaming frijoles and strolling musicians, the gliding gondolas and prickly-pear cocktails, San Antone has a lot to choose from. The only thing I didn’t see as many of as I’d have liked is cowboys. But then, I missed the big San Antonio Stock Show & Rodeo in February. Deep in my heart lies a melody. Embellishments. Extras added to make something more appealing. Gourmand. A person who loves good food, especially lots of it. Mariachi bands. Ensembles of musicians, often wearing glittering bullfighter-type outfits and oversized Mexican sombreros, that play exuberant string music, sometimes accompanied by trumpets. No one seems to know the true origin of the word. It’s been incorrectly traced to a French word for “marriage” from a time when Maximillian, a Frenchman, was emperor of Mexico. And to a more obscure Indian word for a kind of wood from which the platforms on which mariachi bands performed. Podner. Cowboy lingo, or language, for “partner.” Cowboys often rode in pairs on the dusty trail. Reverie. A daydream state, lost in one’s thoughts. Very nice piece on my hometown!